Extensive facilities and services to support comfortable accommodation. 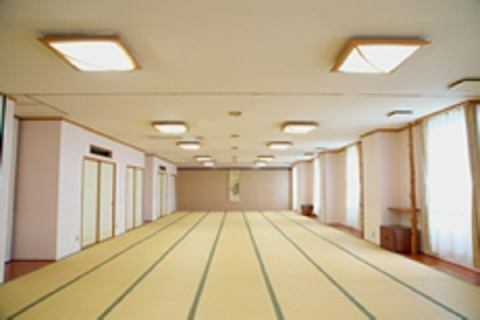 ● The guest room and the venue building are completely isolated and very quiet. ● It is convenient for those who take a bath many times because it is possible to go relatively quickly from the room to the bath with simple construction. 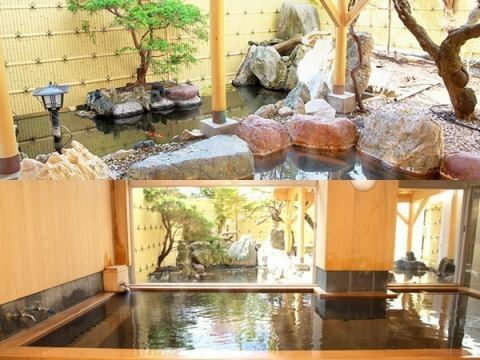 The inner bath is total cypress making and the scent of hinoki a little enhances the relaxing effect.The garden outdoor bath can spend elegant time watching Nishikigoi swim.Because it is not going to a hot spring on a day trip, it is also attractive to relax and enjoy the hot springs with sourced springs in a quiet environment. 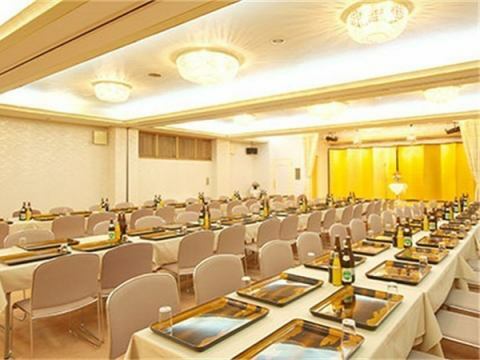 We are preparing various venues including a Japanese style room with a stage and 2 room divisions.You can use up to 100 people when sitting from a small group.It is ideal for use of celebrations and alumni association of the long holidays, including the forgotten year party as it can be partitioned by the layout according to your application. 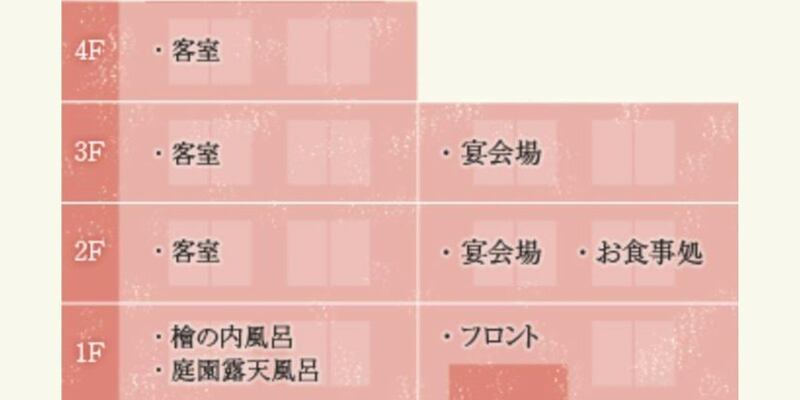 It is ideal for use of celebrations and alumni association of the long holidays, including the forgotten year party as it can be partitioned by the layout according to your application. 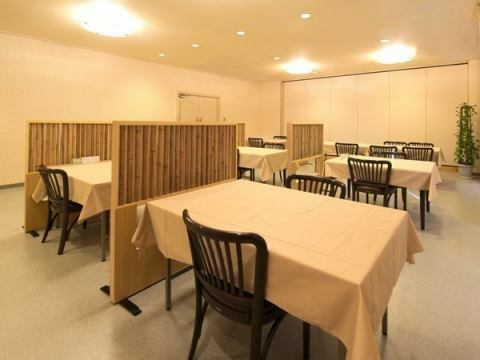 It is a table seat restaurant that is also gentle and open-minded with calm feet.We are preparing two large and small places.Chairs and dishes for children are also available. Please feel free to ask. 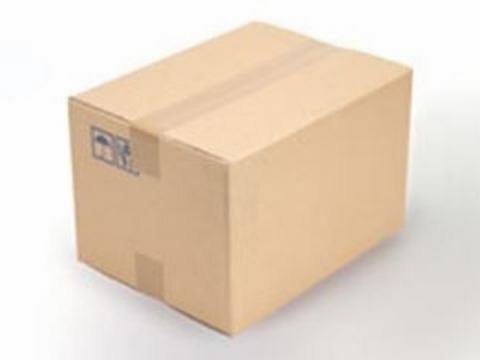 You can use a courier service.If you are using, please ask at the front desk.